Are you trying to add a little more down under into your everyday home life? Giving your home an Aussie twist is easy, especially if you already live in Australia. If you do please tell us how all of you got so cool and chill. If you aren't from that marsupial rich island than we have some suggestions for you. First try enforcing Vegemite on toast for breakfast. Your children might struggle with the taste, actually you might too but just add a little cheese and try to appreciate this savory breakfast treat. Another simple way to add a little outback to your every day is using Aussie slang. Teach your kid to say "No worries" after they take a spill instead of the boring old "I'm okay". Of course, when its time for that Vegemite toast tells them it's time for "brekky" instead of breakfast. 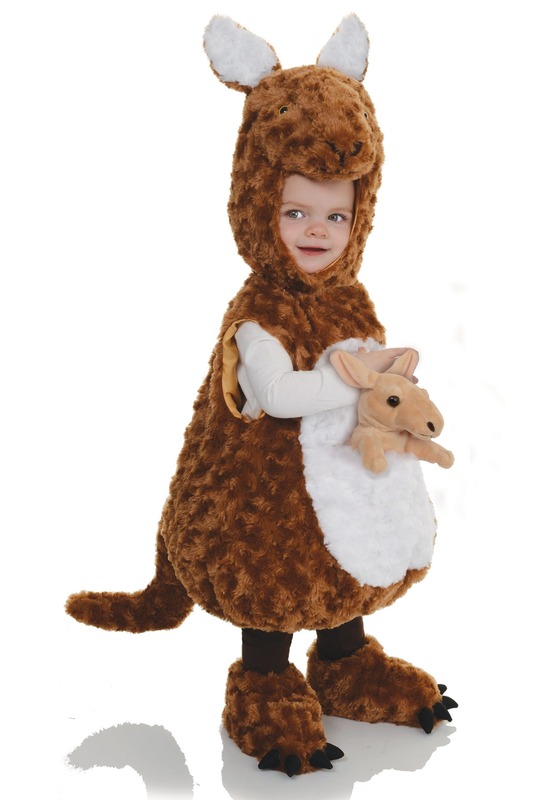 If you're looking to up the ante then this toddler's kangaroo costume is the perfect way to add that visual aspect. Your little Joey will be hoping around the kitchen, coddling their own adorable roo in the pouch, reminding you to stay true to your Aussie goals. It won't take long 'til you're grateful you stayed with your Australian household aspirations. Your fake accent is getting better by the day but the best part has to be the little kangaroo hopping around your house. Your little one is really getting into this new role, understandable, the costume is not only adorable but super comfy as well. The human-kangaroo transformation is easy: pop the bubble tunic over their head, put the sculpted hood over their head, and slip on the slippers and set them loose to start hopping. Now that's a g'day mate!